Most people know that coffee has more caffeine than tea, right? That’s actually not quite true. While brewed coffee does have more caffeine than steeped tea, it’s because coffee is a stronger drink than tea. Tea leaves actually contain more caffeine than coffee beans. Before brewing, tea leaves contain more caffeine than coffee beans. Caffeine is a naturally occurring pesticide that’s found in both tea and coffee (as well as cocoa and yerba mate). There is more caffeine in the leaves of the camellia sinensis plant, which is the only species of tea plant, than there is in the beans of either the coffea robusta or coffea arabica plant. After brewing, however, a cup of coffee has more caffeine than a cup of tea. The reason for this is simple: coffee is a stronger beverage than tea. If you don’t think brewed coffee is more concentrated than steeped tea, just look at a cup of each. You’ll be able to see through the tea more than the coffee, even if you’re comparing black tea. In some cases, brewed coffee can look almost black. Even black teas, which may be steeped for 5 minutes at 200 degrees Fahrenheit, don’t leech as much caffeine as coffee because of their chemical structure and age. The variance in coffee comes mainly from the two species of plants. Robusta varietals have about twice as much caffeine as arabica varietals. The variance in caffeine levels in tea comes from the harvesting and processing of tea. First, black, green and white teas all come from the same plant but are picked at different times. When the tea is picked impacts its caffeine levels. Second, black tea is oxidized, which increases how much caffeine is extracted during steeping. 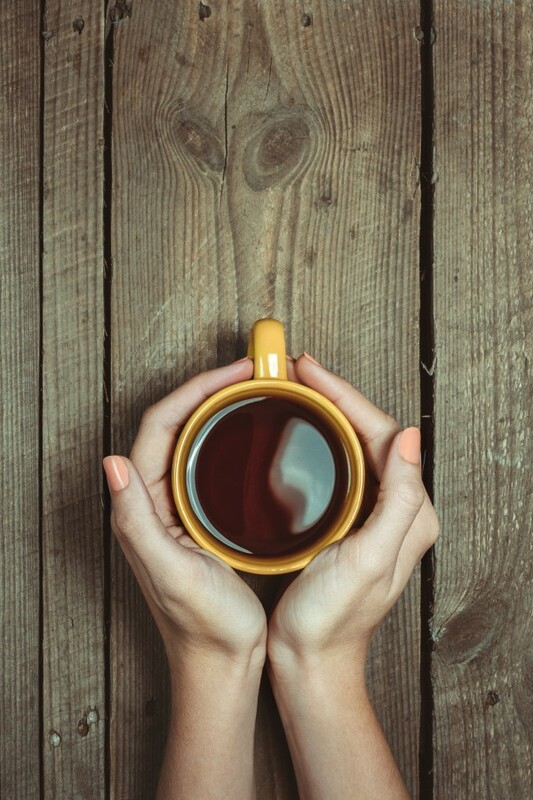 As long as you enjoy your beverages in moderation, both coffee and tea are healthy beverages. The Mayo Clinic recommends keeping your caffeine intake below 500 milligrams per day, which is several cups of coffee or tea, and neither of them have the sugar that soda contains. Excellent Sam…..you are exactly correct. Very good. Maybe “more concentrated” would have been a better phrasing. Tea leaves have more caffeine per ounce, but tea leaves weigh very little so an ounce of them goes a lot farther than an ounce of coffee beans. Not to mention a tea bag vs a coffee pod with the same amount of water, there is no comparison, there is at least 5 times the amount of product in a coffee pod compared to a tea bag. I love Lipton black tea and always use 3 or 4 bags per cup, then again, I only drink espresso when I drink coffee, so I prefer my drinks strong as mud, but tea always gives me a bigger, and what seems to be, longer lasting buzz than coffee, but that might just be me.